If you’re anything like me, you love a good highlighter. I’m particularly obsessed with shimmery ones. 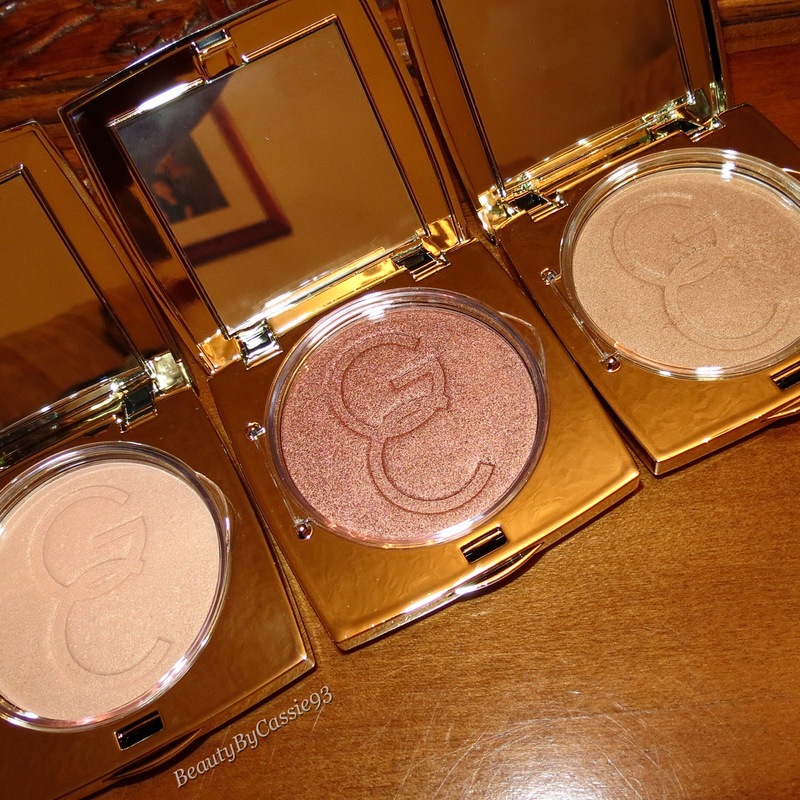 Gerard Cosmetics has recently launched three beautiful skin highlighters which they call Star Powders. They are made in the USA and each contain 12 grams of product. Ingredients include mica, jojoba oil, magnesium stearate, and kaolin. The packaging also states that they may contain iron oxides, and titanium dioxides. Star Powders come in three different shades: Audrey, Lucy, and Marilyn. Use the code cassie for 25% off of everything on Gerard Cosmetics and Whitening Lightning. Audrey is described as a warm champagne gold that is reflective and high shine. 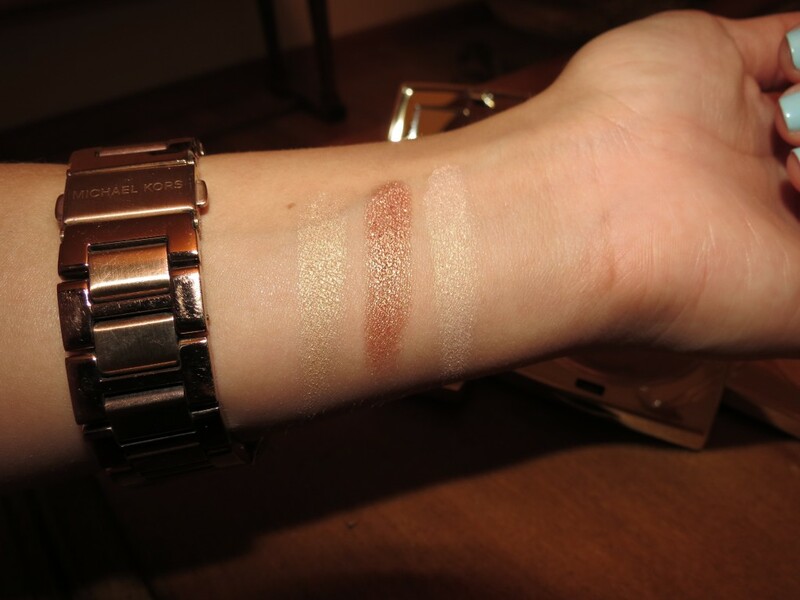 Lucy is described as a rosy highlight with a hint of golden shimmer. Marilyn is described as a golden luminous powder. Each Star Powder is extremely gorgeous and has an excellent sheen. I love the fact that there are three completely different shades for light, medium, and dark skin tones. They are also long-wearing. I applied Audrey to my cheek bones and down the bridge of my nose before work–around 6:30 a.m.– and it was still going strong when I took off my makeup around 10:00 p.m. Overall, I’m really impressed with these highlighters. Out of the three shades, Audrey is definitely my favorite just because it’s the lightest and most flattering on my light to medium skin tone. 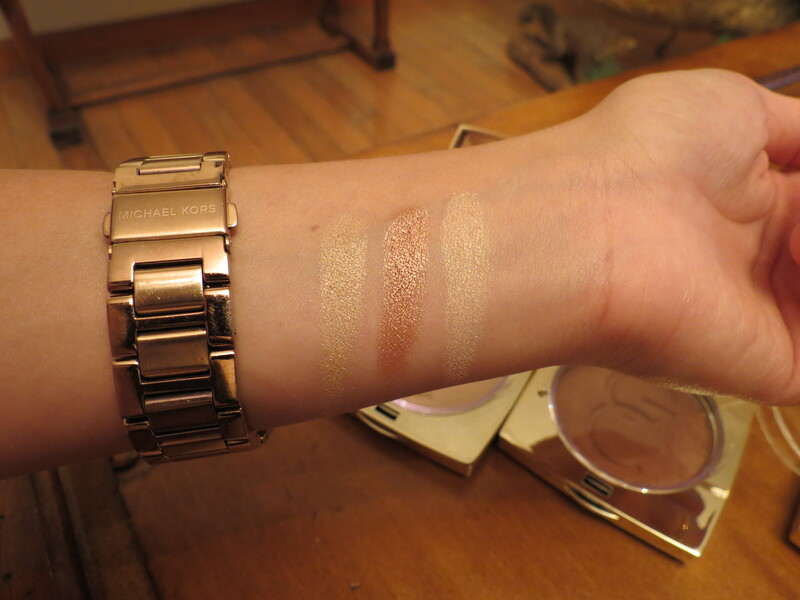 It’s a champagne tone which is usually the type of highlight I gravitate toward. This entry was posted in Makeup, Beauty, Reviews and tagged audrey, cosmetics, gerard cosmetics, glow, highlight, highlighter, lucy, luminizer, makeup, marilyn, Product review, review, skin, star powders, whitening lightning.